Serhat to represent San Marino in Eurovision 2016! SMRTV has just announced that Serhat is going to represent San Marino in the Eurovision Song Contest 2016! 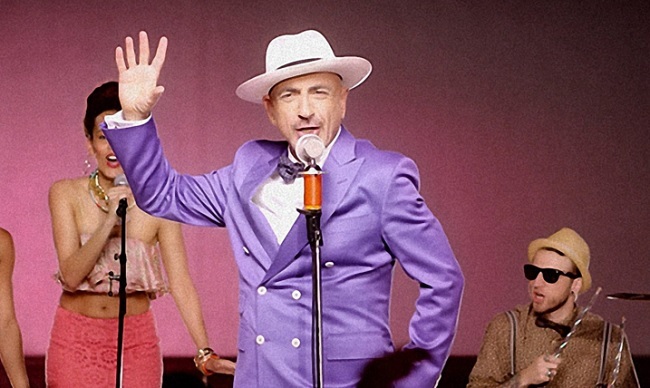 Ahmet Serhat Hacıpaşalıoğlu is a Turkish singer, producer, and a tv host who has been on the Turkish scene for more than 20 years. He hosted the very popular tv show called Riziko! (the Turkish version of the American quiz show Jeopardy!). Serhat said that it is great honor for him to represent San Marino in the Eurovision Song Contest, and that he will do his best to make this small country with a big heart proud of him. He added that Eurovision is the biggest platform for any artist to perform, and it give a chance to know the European audience. The connection to San Marino he believes sounds unusual, but the unusual things in life are the interesting ones, and they can bring many different opportunities. Two years ago, Serhat released his latest single “Je M’Adore”, which charted in the top 10 in Germany, France, Switzerland, and the United Kingdom. The song he will be singing for San Marino is yet to be released, and he said that in whichever language he is going to sing in Eurovision, there will still be an Italian version of the song. The Finnish songs have been revealed!